On Tuesday, May 26 the John Cabot Institute for Creative Writing and Literary Translation hosted the first event of Kevin Brophythe sixth-annual Summer Institute that will be held through the month of June at the University. On March 17, the JCU Institute of Creative Writing and Literary Translation hosted a poetry reading by Marianne Boruch. Professor Elizabeth Geoghegan Wins Two Solas Awards for Best Travel Writing. On February 17, the JCU Institute for Creative Writing and Literary Translation presented a joint reading and presentation by Creative Writing Professor Elizabeth Geoghegan and Shebooks Editor Paula Derrow. Alfieri is an acclaimed mystery author who lives in New York City but spends much of her time in Florence. On Tuesday, February 3, 2015 the JCU Creative Writing Institute was pleased to host Serbian author Andrija Matić for a presentation of some of his most notable works. Win a Scholarship to Study Abroad at John Cabot University in Summer 2015! 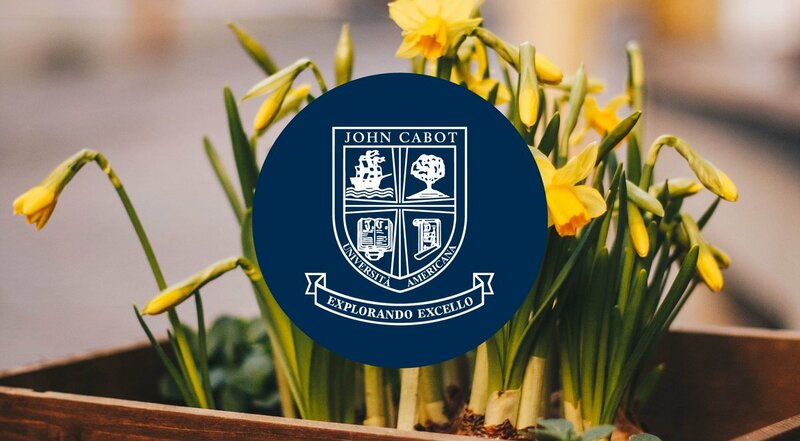 John Cabot University will be awarding four tuition scholarships for one three credit summer class from the options below during one of JCU's summer sessions (Summer I: May 21-June 27; Summer II: July 2-August 8). On Tuesday, November 11 the Institute of Creative Writing and Literary Translation sponsored a reading and panel discussion of Sworn Virgin by Elvira Dones. On Thursday, September 25th the Institute for Creative Writing and Literary Translation in collaboration with the United States Embassy and the LGBT Alliance Club sponsored a reading of Caleb Crain's debut novel Necessary Errors. John Cabot University is proud to announce Edmund White as the 2015 Writer in Residence at the 6th Annual Summer Institute for Creative Writing and Literary Translation, to be held from 25 May through 25 June 2015. On July 31, Carlos Dews, Professor and Chair of the English Language and Literature Department at JCU, released his new novel Skin of the Wolf. John Cabot University creative writing professor Elizabeth Geoghegan, author of the best selling "The Marco Chronicles," is back with her second book, "Natural Disasters." The final event of this summer's Institute for Creative Writing and Literary Translation was held on July 22, 2014, when Prof. Andrew Cotto's Travel Writing class read excerpts from their work this semester.